If you’ve ever experienced that cold feeling in the pit of your stomach that comes with the certain knowledge you have lost your walled absolutely and forever, you will know it’s a feeling you’ll never want to experience again. Fortunately the best wallet tracker on the market has now been developed, so you’ll never need to worry about losing your wallet again – even if it is stolen! It’s called the WolfTrack, made by Australian company BlaqWolf. 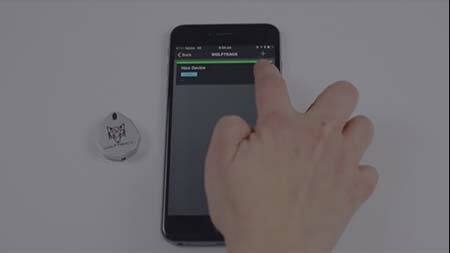 This fantastic device uses a combination of GPS and Bluetooth to help you always know where you’ve left your wallet, or indeed any other precious item you attach it to. 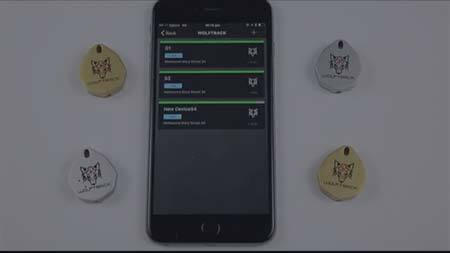 If somebody steals your wallet, WolfTrack can alert you, and you may be able to recover it before you lose anything else. That’s a great reason to buy WolfTrack. It just means not having to worry any more about precious belongings being lost or stolen. You can even attach these tags to your children or pets to let you know when they’ve started wandering away from where they’re supposed to be. 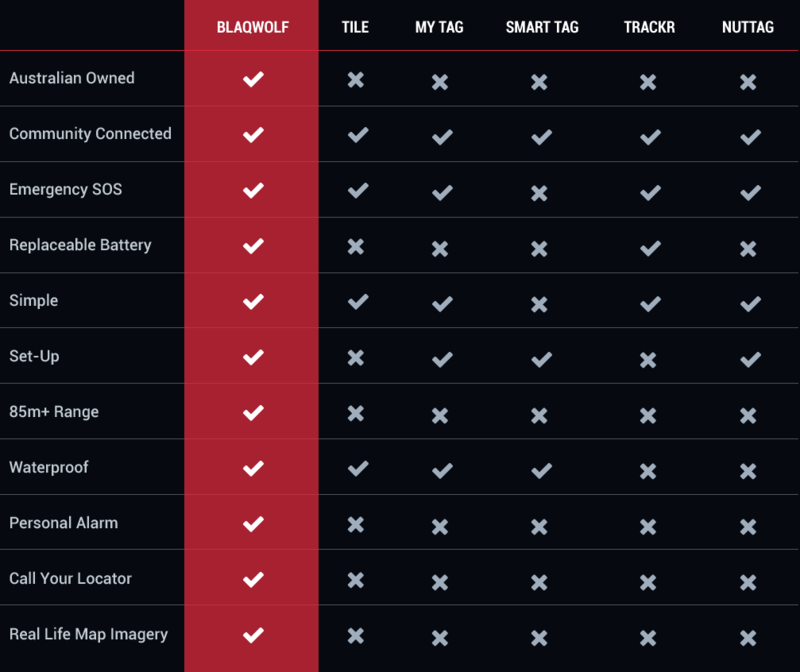 There are thousands of ways you can put the WolfTrack to use, so get one today and start protecting all that’s important to you. Some people have just one WolfTrack and some people have dozens. No matter how many you have, you can control them all from one single phone and from as far away as 110 metres. 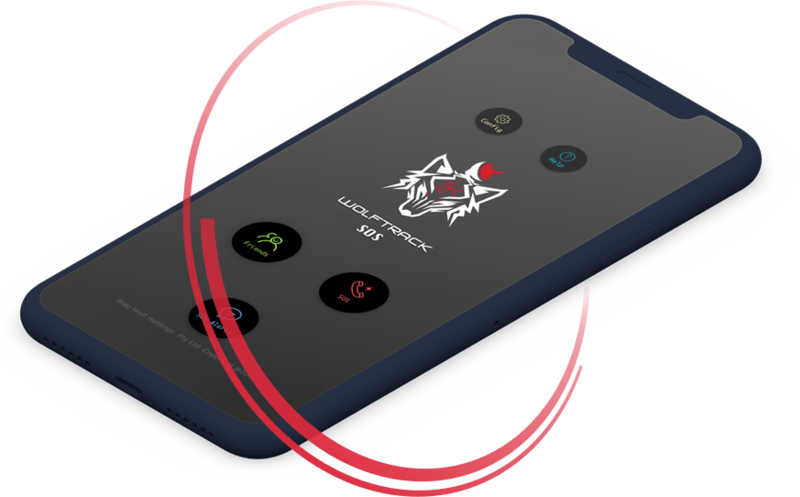 The downloadable apps can also be purchased as stand alone applications to let you track your own location and use the SOS emergency features that all WolfTrack owners can use. That’s something we haven’t mentioned yet, but we’ll get to in a moment. For now, we’ll just say that WolfTrack is capable of far more than just keeping track of your assets. When your wallet is lost, it’s a disaster. When you are lost, that’s an outright catastrophe. 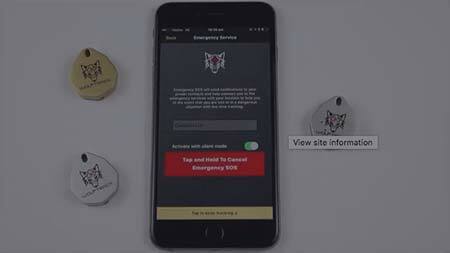 WolfTrack and the BlaqWolf apps for your phone can help you get out of serious trouble. 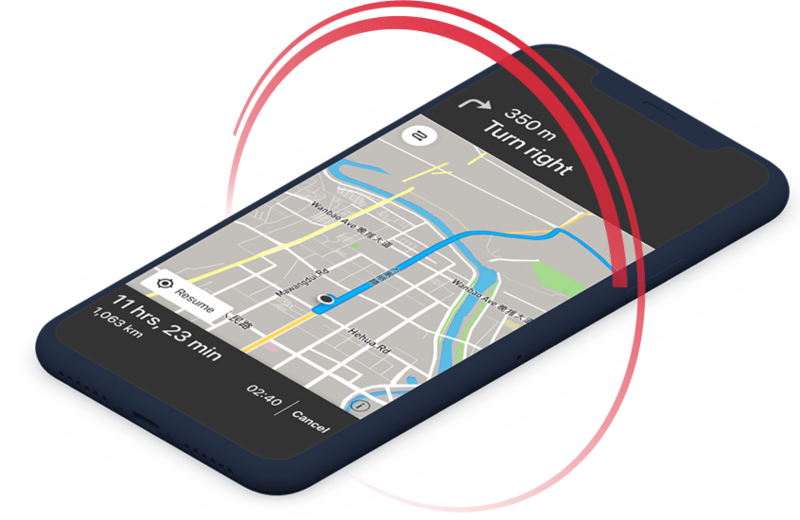 First, the highly accurate GPS tracking abilities can show you your exact location on a detailed map, so at the very least you’ll know exactly where you are. Knowing where you are is the first step to not being lost! It may be the case that you’re injured or have no way to sustain yourself if you wander away from where you are, or you may even have been buried by an earthquake or isolated by a flood… whatever kind of disaster you are facing, the BlaqWolf products will have a solution. Activating the SOS emergency feature will alert emergency services that you are in danger and will inform them of your precise geographic location, allowing you to be rescued more quickly and easily. In another scenario, you could be facing an even more immediate threat. 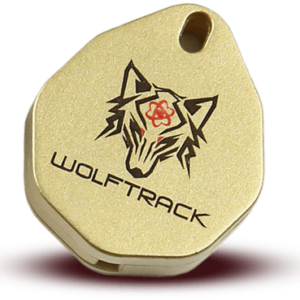 Cornered by criminals or being stared down by a ferocious dog, you’ll be glad to have the personal alarm function of your WolfTrack tag to rely on. One press of the button and an ear-shattering alarm will be emitted, which will scare away all but the most determined of attackers. 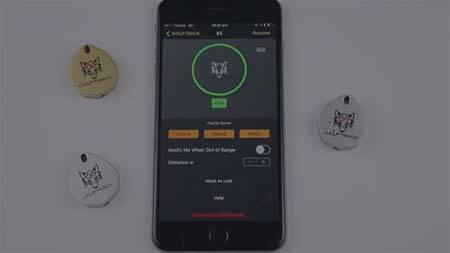 BlaqWolf helps keep your things safe, and helps keep you safe too. 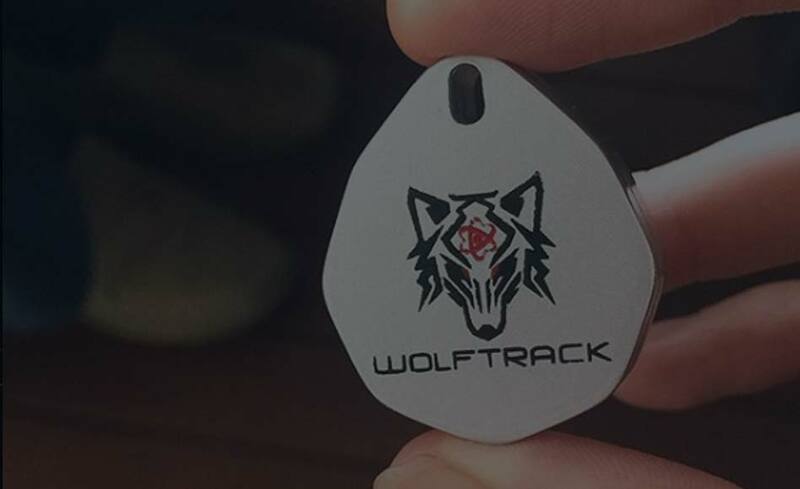 If you buy WolfTrack tags from BlaqWolf, you’ll never have to worry about losing your wallet, or other precious items you protect with your tags. They are so inexpensive, there is no good reason not to get this technology into your life. Plus if you decide to purchase the Ultimate Wolfpack Bundle, you’ll save even more and get some really awesome bonus products included. Buy yours today. We offer the best range on any locator in the industry (up to 110m) so you’ll always know where your wallet is. The search begins and ends with a couple of taps on your phone. Too many manufacturers conceal their batteries to force their customers to purchase additional locators. Not BlaqWolf. Our batteries are entirely replaceable. If you find yourself in a situation that requires assistance you can alert the emergency service and your emergency contacts quickly. 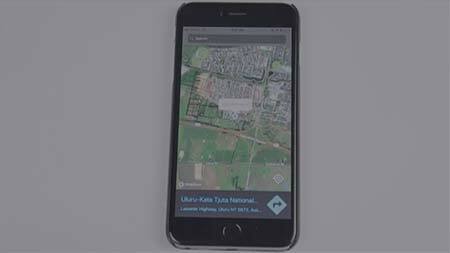 Establish a boundary around your home and receive a notification the very moment that one of your locators leaves it. Find out where your items and your loved ones are in mere seconds using just your phone. If one of your locators leaves your range then the extended BlaqWolf network is there to help. This will send you an alert as soon as the locator enters within the range of another BlaqWolf app user. 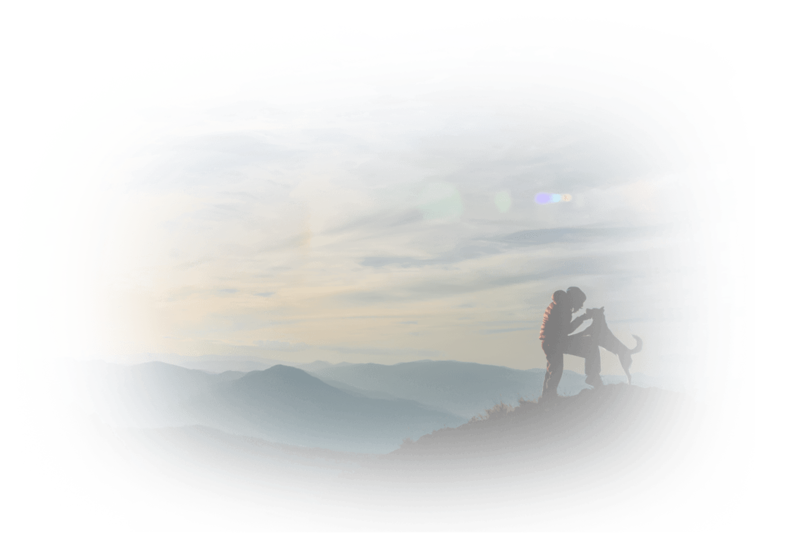 What good is a locator if it can’t endure harsh situations? Our locators use the best materials to ensure that your locators are water resistant. Our batteries last for a year which places them way beyond those of our competitors. Don’t worry about a failing battery sabotaging your locators. If you feel that your wallet or other property is in danger you can activate a loud alarm that will stun attackers and give you an upperhand in a bad situation. If you find that your phone is missing but you have your wallet, for example, you can double tap the locator to make your phone emit a signal. Losing your wallet can be disastrous. You have to spend time cancelling and replacing cards while worrying about fraud attempts. Our finders put an end to that risk and they are renowned for their quality and longevity. 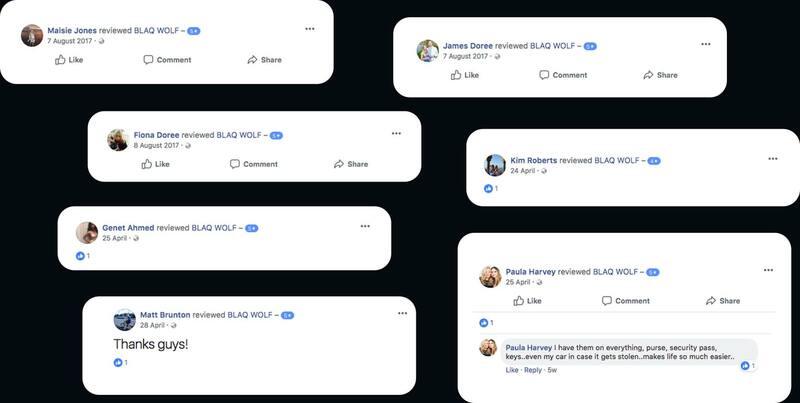 If you find that your BlaqWolf product doesn’t work as you expect it to then something is wrong. Just let us know and our replacement guarantees mean that we will replace your product in no time. Going off the beaten track can be dangerous and it can put you and your family at risk. If you get lost and find yourself in the more dangerous parts of town you put yourself and your belongings at risk. Only ever take the quickest and most convenient way to your destination with our fully-fledged GPS system. The world can be a dangerous place and there are people out there that benefit from the misfortune of others. Your wallet contains a huge number of important cards and other items so you can’t afford to lose it. 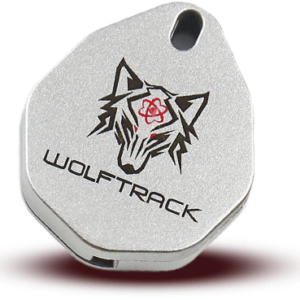 Our Wolftrack GPS system makes it easy for you to dispatch a distress signal and improve your chances of retrieving your wallet and its contents if they are taken from you. 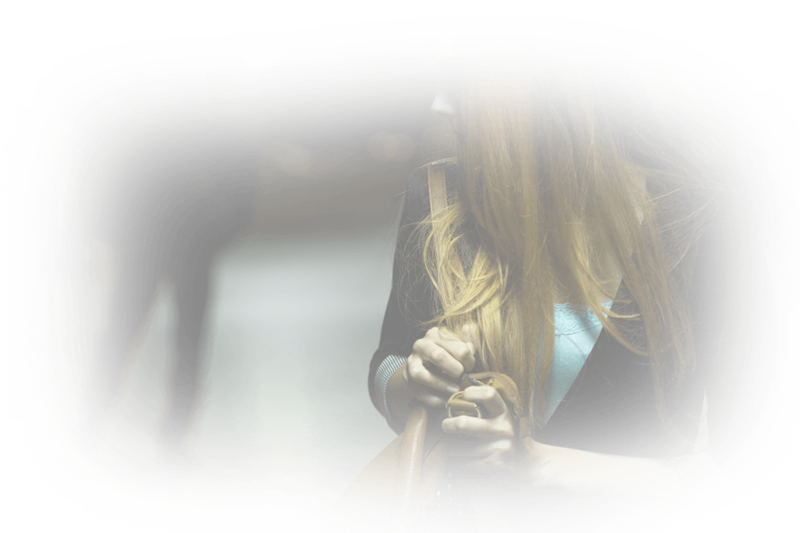 Whatever you’re keeping safe – whether that’s a phone, set of keys or wallet – you need to be able to trust the tracking device that you’re using. At BlaqWolf we offer the very best wallet finders available on the market. They are the most durable, offer the longest range, and have replacable batteries. Your wallet has never been safer. Losing a wallet can have wider implications than just the money inside it: losing cards and identification can lead to identity theft and even larger problems. You can keep use the Wolftrack locator on your wallet to ensure that it is recovered in the event that it is lost or stolen. This will protect you from any potential risks that come with losing your wallet. Rushing to leave your house and searching for your wallet is probably all too common an occurrence In fact research shows that the average person spends 60 hours each year looking for those types of items! Well those days are over with our state-of-the-art wallet trackers. Simply open your app and find all of the items you’re tracking instantly.